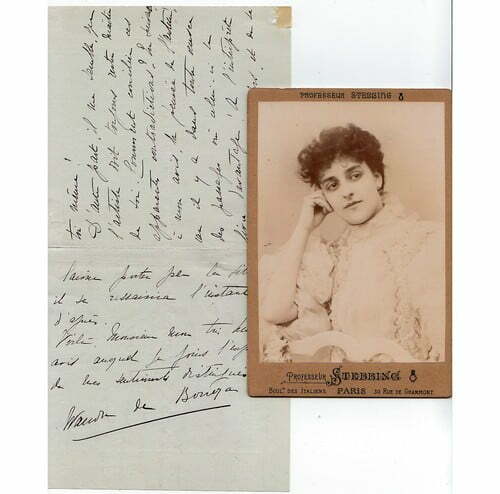 Autograph Letter Signed ‘Wanda de Boncza’, discussing the expression of emotions on stage, in answer to her correspondent’s question. In French. 3 pp. 5 x 5 inches, minor paper repairs and blemishes. With a separate cabinet portrait photograph of Wanda de Boncza, by Professeur Stebbing. 11 August . Wanda de Boncza (1872-1902), French actress at the Comédie-Française.